The study of 100,000 veterinary appointments conducted alongside the British Small Animal Veterinary Association (BSAVA) and the University of Bristol shows that too few owners realise their vet can help, and those who do seek support often do so too late – leaving short-term medication as the only option. 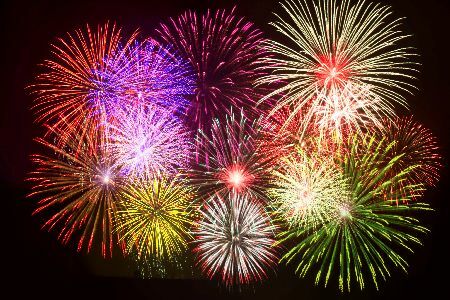 The study showed that from over 100,000 veterinary consultations taking place between September 2012 and July 2014, only 75 consultations were clearly for firework related phobia. This surprised the researchers because fearful reactions to loud noises like thunder and fireworks are common in dogs, and likely to be an issue in many other animals too. The research was conducted by SAVSNET, (Small Animal Veterinary Surveillance Network), a partnership between the BSVA and the University of Liverpool’s School of Veterinary Science. The vets on the team are concerned that even amongst those who do seek help, nearly half wait until the week before bonfire night, which gives vets little time to identify the best treatment options for each pet. The study also looked at the drugs prescribed to the animals to help them cope. The most common drug type administered was benzodiazepines. However, one example featured a vet prescribing a sedative, ACP, which Dr Radford believes would make the pet drowsy without reducing the overall stress – a situation which could make symptoms worse in the long run. This latest research looking at client visits for noise phobias was made possible by SAVSNET, which works with vet practices to collect anonymous pet health data in real time from across the UK.